Petra (Jordan), a World Heritage Site, and Matera (Italy), the 2019 European Capital of Culture, have been officially twins since 2011. 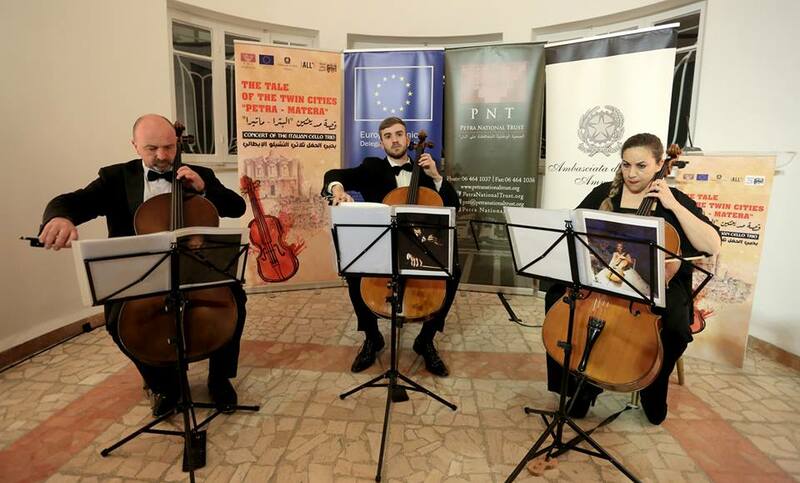 The European Union in Jordan, Italy in Jordan and Petra National Trust celebrated this special twinning with a unique classical music concert performed yesterday by the world-renowned Italian Cello Trio. It was also the occasion to celebrate EU’s strong commitment to support and promote cultural heritage in Jordan.